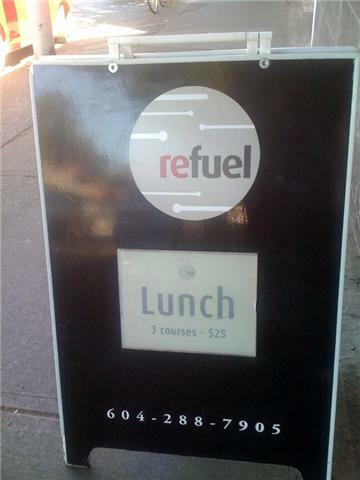 so my nephews, the bansal boys have been bustin my chops about hittin up refuel in kits for what they both declare is the best burger in all of Vancouver. so, the other day the wife and i roll into refuel to try the heralded burger and whatever else they have. First reactions is that the place is very swanky, with amazing decor and brilliant & friendly service. I look over the menu, and luckily the owners made it easy with only one burger on the menu: the dry aged beef burger. So i order it up and the wife orders a plate of gnocchi. 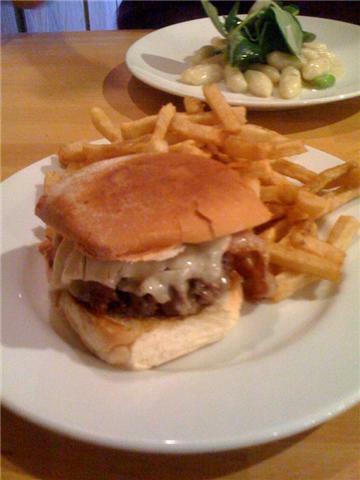 a few minutes later the burger comes up fresh, hot and cooked to perfection (medium rare). the fries are few but are awesome, as is the plating. How's the burger you ask? well, i must say that the burger was exceptional, as it was super flavorful, and the bacon was also on point as it fried perfectly. oh my, thats some serious meat. Yeah man, Sophies still rocks even with the hot/cold staff, the only thing that they need to work on are refills on the drinks. If i'm gonna pay almost $3 incl HST for a Coke then refills should be a no-brainer...Love the new layout, keeping it fresh all the time. dirtbike or ATV? how about both?